Over the past four summers, the Alamo Drafthouse Rolling Roadshow’s Jaws On The Water events have become the stuff of legend. Giant inner-tubes, giant lake, giant screen, giant shark (and a boat that could stand to be bigger). But what if the shark just isn’t big enough for you? The Alamo’s got you covered. 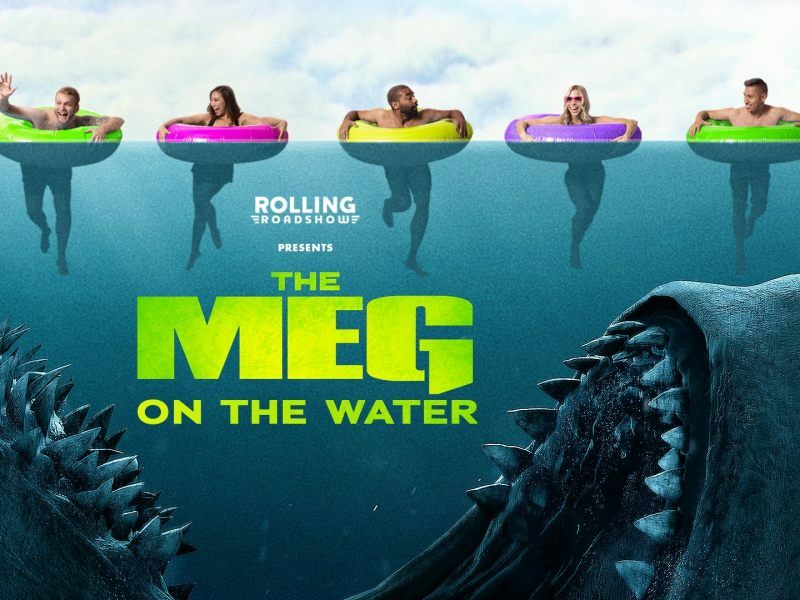 Your friends at Rolling Roadshow have partnered with Warner Bros. for a special early screening of the Statham-vs-shark film The Meg - on the water. Float around on a shark-themed inner-tube as a giant prehistoric behemoth menaces the Transporter onscreen, and as untold terrors (either Megalodons or scuba divers, we couldn't tell you which) lurk beneath your paddling feet. It’s an experience to die for. In Jon Turteltaub’s sci-fi action thriller, Statham plays deep-sea rescue diver Jonas Taylor, recruited to save a submersible crew trapped at the bottom of the Pacific’s deepest trench. But the creature keeping the crew down there is a 75-foot Megalodon - a prehistoric shark, thought long-extinct, with which Taylor once had a terrifying encounter. Now, he has to face this gargantuan ocean beast - and his own terror - and save both his colleagues and unwittingly endangered swimmers everywhere. Like the other Jaws On The Water events, The Meg On The Water will have rides and activities open to guests from 6:00PM, including rides, a Lazy Lagoon, and a bar and grill. The show starts at 8:30PM, which means that by 10:30 you’ll be among the first to have seen The Meg’s over-the-top shark action - and in the best possible environment. The summer's horror movies didn't get crushed by superheroes! Did you have as much fun with this one as we did?